This soup will go down a treat tomorrow night. It makes a glorious hill snack too! 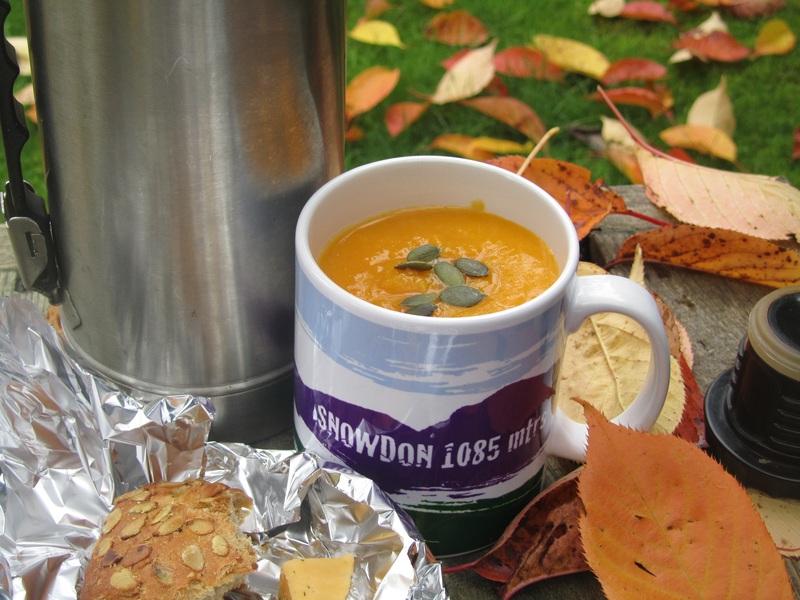 Fill your flasks with warming soup this Autumn. Fry 1 onion in butter until soft. Add 1 chopped potato,1 chopped carrot, stir for a minute or so. Then add vegetable or chicken stock and 1 chopped butternut squash. Simmer till cooked, liquidise. Enjoy! ruthwoolf November 4, 2014 October 25, 2017 Eat out!